This delights me to no end. And not just because it is at my home airport. 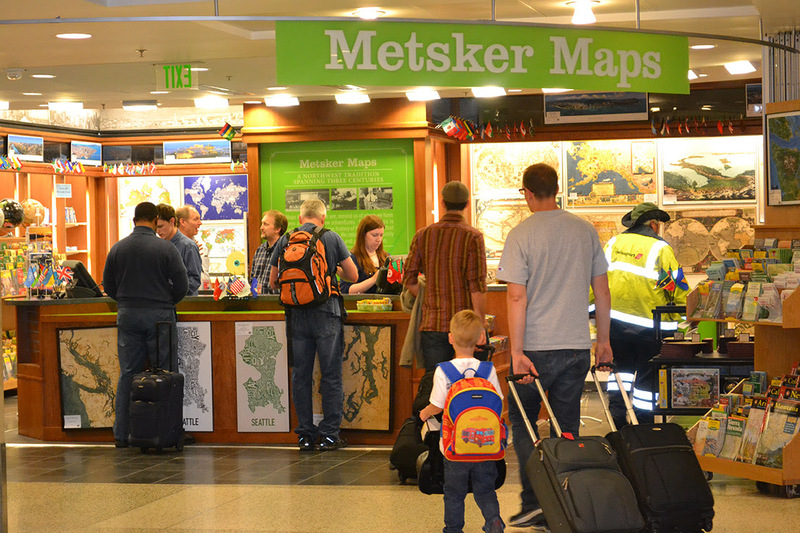 On Friday – just in time for the long holiday weekend – a new store selling maps, globes and other fun travel-related items opened at Seattle-Tacoma International Airport. Metsker Maps has cartography roots in Seattle dating back to 1880 and a popular store in downtown Seattle at the Pike Place Market. The shop sells maps of all kinds, globes, books, guides, travel accessories and children’s items. Modern-day map apps are useful and all that, but “maps tell us where we are, remind us of where we have been and inspire new adventures,” said Metsker Maps president Jay Brown. I’ve got a trip coming up in a few days and I’m already planning on heading to the airport extra early so I can visit the store. One map I hope they have in stock is a scratch off world map .